How many more indicators do we need to see to realize that a major confrontation between Russia and the West is approaching rapidly? 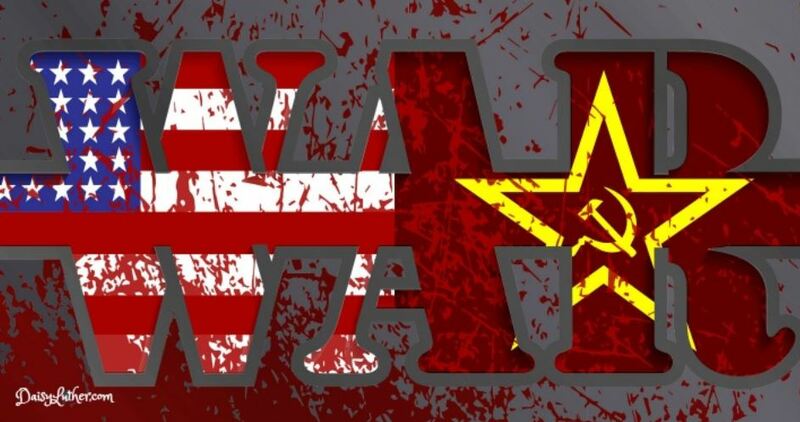 Is World War III upon us? Because it’s certainly starting to look that way, and I am far from the only person saying it. The most alarming thing about it is that WWIII is most likely to involve nuclear weapons, which brings the destruction to a level that threatens the very existence of humanity. When 1 Russian paper talks about a war between US & Russia, that’s worrying. When 2 papers do it, it’s very worrying. In no particular order, here are 8 warning signs that should grab your attention right now. This one worries the daylights out of me. Russia is currently conducting a drill that involves more than 40 million people and scenarios will cover biological, chemical, and nuclear emergencies. The huge four-day “civil defence” drill has set alarm bells ringing in Washington and London, with tensions already high over disagreements in Syria. The drill will prepare Russian citizens for “large natural and man-made disasters”, according to the country’s Ministry for Civil Defence, Emergencies and Elimination of Consequences of Natural Disaster. The ministry revealed 40 million civilians, 200,000 emergency rescuers and 50,000 units of equipment are involved in the war game, which is running from October 4 to October 7. Can you hear me now? An activity on that level, with 40 million civilians? Are you really convinced that is a drill? The logistics alone make me wonder if action is about to be taken. Under President Putin, Russia has charted a dangerous course that, if it is allowed to continue, may lead inexorably to a clash with Nato. And that will mean a war that could so easily go nuclear.